Something a little different for those determined chewers! 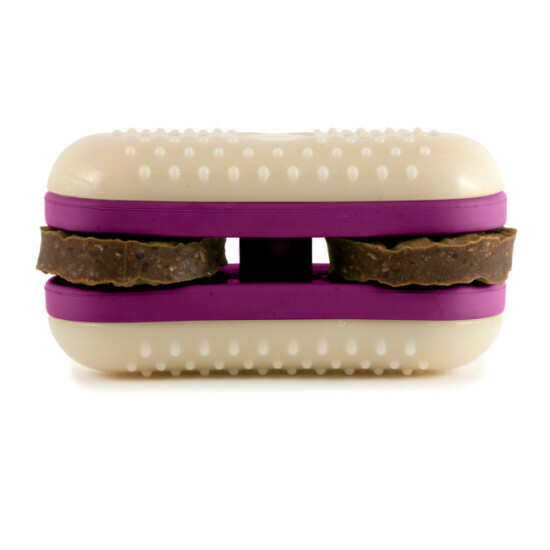 The Sub features knobbed nylon “buns” sandwiching rubber spacers and 2 ultra-thick rawhide treat rings. These treat rings are 4x thicker than our regular Busy Buddy rawhide rings. The rings spin on their posts, allowing very little surface area for your dog to grip on to. 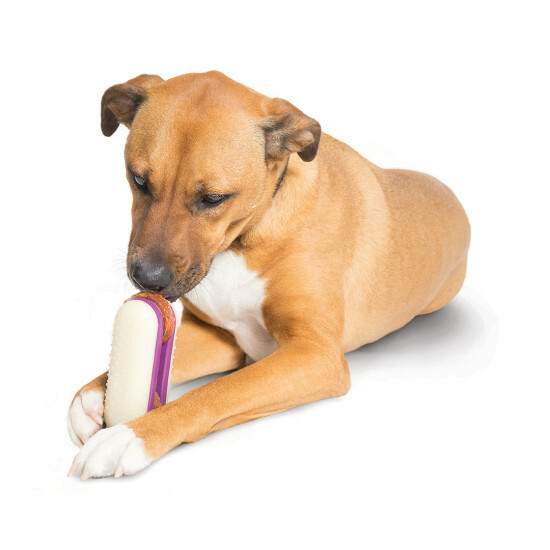 This difficulty combined with the ultra-thick rawhide rings means this toy will hold a dog’s interest for an ultra long time.